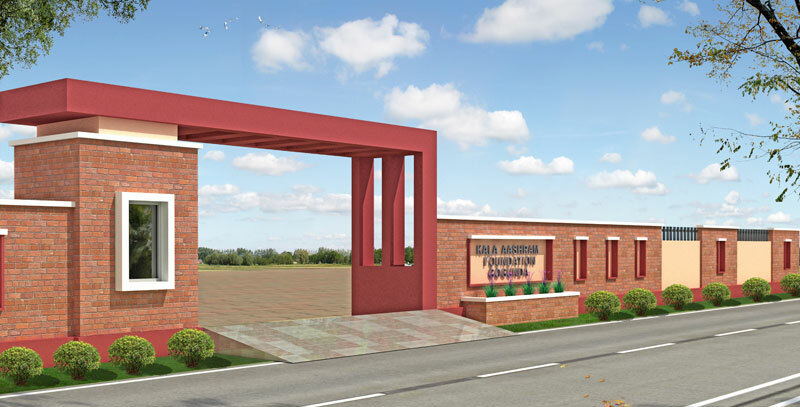 Kala Ashram Foundation is a Public Charitable Trust, indulged in Health Care and Education. Our aims and objectives are to Establish, Develop, Maintain Hospitals, Schools, Medical Colleges of all streams, Nursing Institutions, Dispensaries, Alternative Medicine Centers, Maternity Homes, Child Welfare Center and/or such other similar Charitable Institutes in India for the benefit and use of the general public. Kala Ashram Foundation is an internationally recognized, non-political, non-profit and independent educational body committed to the development and propagation of health and education comprising of people interested in the promotion of Indian Traditional Medicines and Education at all its levels and spheres in order to develop the latent potentials of individuals and communities. We have our one partnership firm Kala Ashram Incorporation, which has its own space available for running the Ayurveda Activities and Spa. We have recently started Ayurved Medical College and Hospital duly recognized by AYUSH/CCIM. The newly constructed AYURVED CENTER is situated on the National Highway Number-27, Mount Abu Road, Gogunda, Udaipur which is around 25 kms from Udaipur City. The area is situated amidst the Hills and Valleys with picturesque land scapes. We are working with Ayurved from last ten years and recently few of the Foreigners Group form Holland, Hungary, Germany and United States of America has visited and stayed here for Ayurveda treatments. We want to work/associated with such an organization or company which has the same aims and objectives and can assist/associate with us and make the promotion of the Ayurved in this region. We are only one Private Ayurved College at Udaipur or rather can say in South Rajasthan which covers a huge mass in and around Udaipur facilitating with the Ayurveda services. Udaipur (Rajasthan) is well known for its beauty, culture, bravery Maharana Pratap, and its Rajtilak Sthal (The Place where the Great Maharana Pratap has been crowned as King in Gogunda) is situated only two kms walking distance from our place and 20 kms is Haldighati from Gogunda. Mount Abu is only 125 Kms from our place. The essence and colour of the Rajathani is very much vivid in our surroundings. The most important is the real Ayurved which every Foreigner is searching is only our place which has very good landscapes, easy access, pollution free environment, calm and nice Sun Rise and Sun Set view. The sea level of our Gogunda is more than the Mt. Abu but easily connected with four lane National Highway Roads. It is hardly 35 kms from Airport and 30 kms from Railway Station. Our new luxurious Spa Center is spread in 10000 square feet’s with A-Class Infrastructure for Spa Ayurvedic Therapies. The residential suits are also situated in the same premises with lift facility, balconies in every room, big space with modern amenities, nice Ayurvedic Food and Yoga facility with trained Instructors in Hatha and Astanga Yoga series. Many travel agencies are looking forward for Medi-Spa or Medi-Tourism in Udaipur and the destination in only Kala Ashram Ayurved Medical College and Hospital.